iPhone : Anibal Roberto Garcia) 's Twitter Profile">Anibal Roberto Garcia You make a valid point Anibal Roberto Garcia) 's Twitter Profile">Anibal Roberto Garcia. I need to revise include this issue into my questions. Thank you for keeping me on my toes. iPhone : Wow. Elizabeth Warren just made the most powerful case for #impeachment that I've seen from a political leader. In a nutshell, put EVERY member of the House and Senate on the record whether they support Trump's lawlessness. iPhone : 3. Klobuchar: "You said that a president deliberately impairing the integrity or availability of evidence would be obstruction. Is that correct?" Klobuchar: "You wrote…that if a president knowingly destroys or alters evidence that would be obstruction?" iPhone : 2. Greatest criminal exposure for Trump: ordering White House Counsel to create false record (record denying POTUS tried to fire Special Counsel). 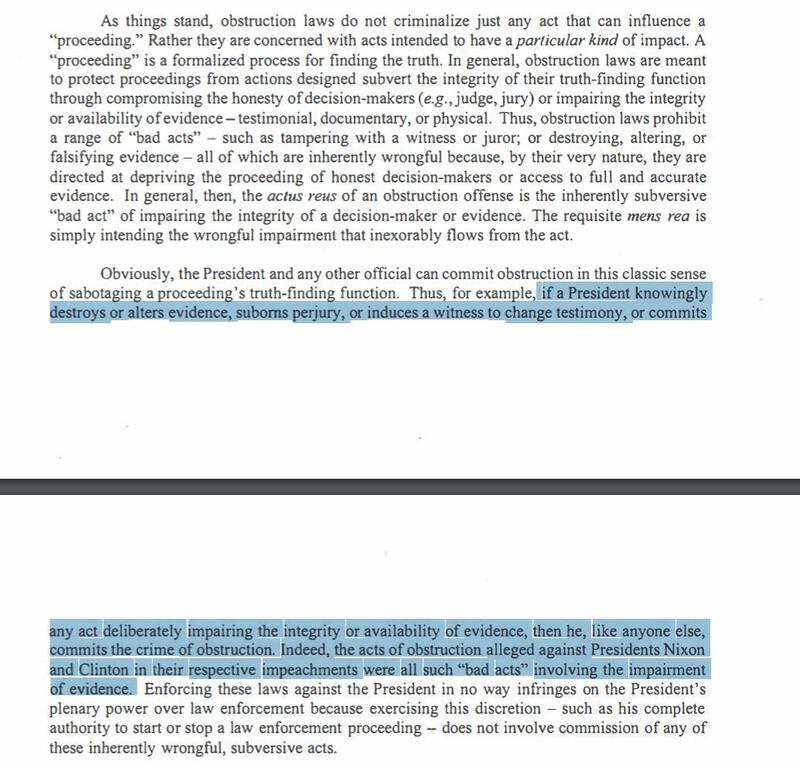 Mueller's conclusion: incident satisfies all three elements for obstruction.